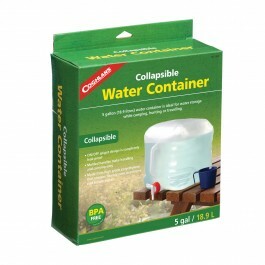 Coghlan's Collapsible Water Container is great for any outing or survival kit. 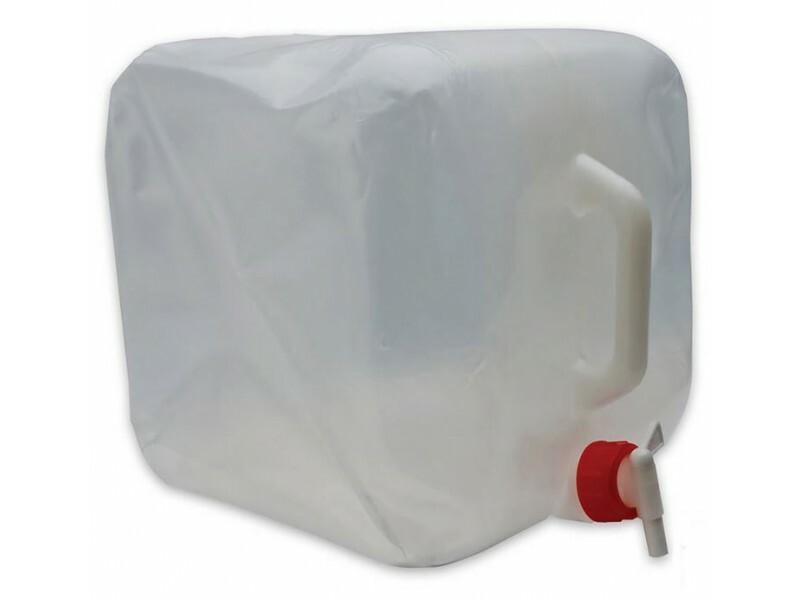 It provides a convenient way to transport and use water wherever you need it, in FDA Food approved plastic. A convenient on/off spigot that removable, so it is easy to fill. 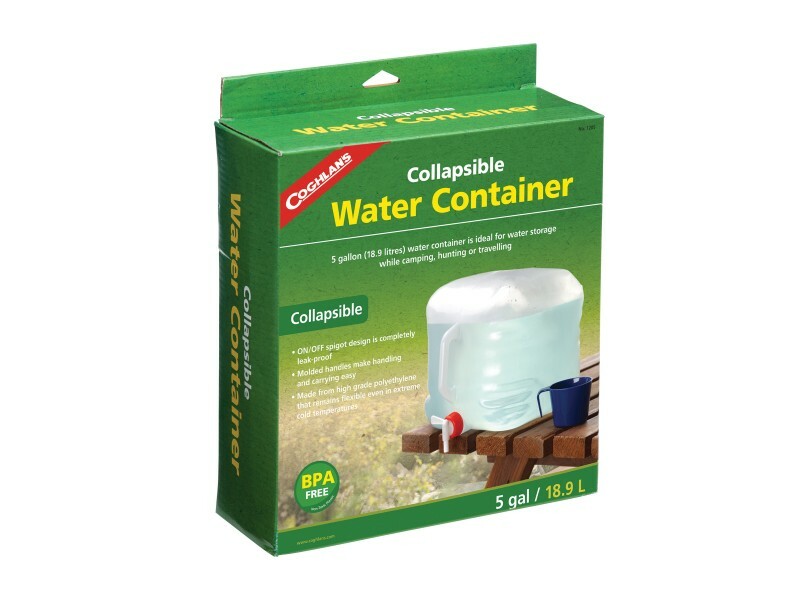 When the Coghlan's Collapsible Water Container is empty, the container folds flat for easy transport and storage and made with a heavy-duty polyethylene carrier resists dents and cracks. The container also has a molded handle make for easy carrying.